It's an election year and there is tons of information out there available for students to read and learn. One of these studies available is History Through the Ages Hands-on History Lap-Pak: U.S. 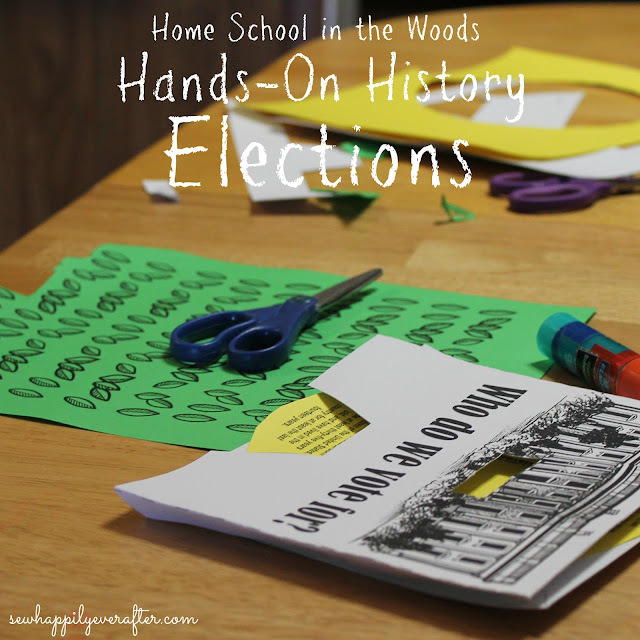 Elections by Home School in the Woods. Through this study your child will gain a thorough understanding about American government and how our elections work. 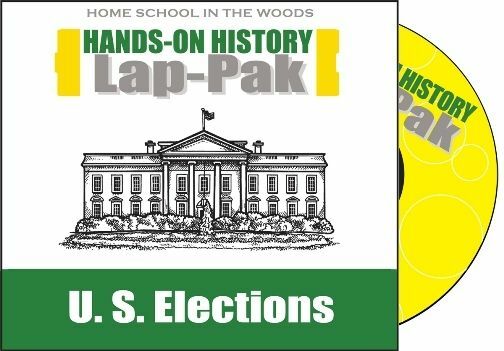 The elections lap-pak comes either as a download or on a disc. The download is a large file, so you will need to be patient when waiting for it to download. I like downloadable files. It's just so gratifying to purchase something and then get started right away. You will need to print the mini books for the study. White paper or cardstock is fine to use although the directions instruct which masters need to be printed on which colors of paper or if you should consider cardstock. 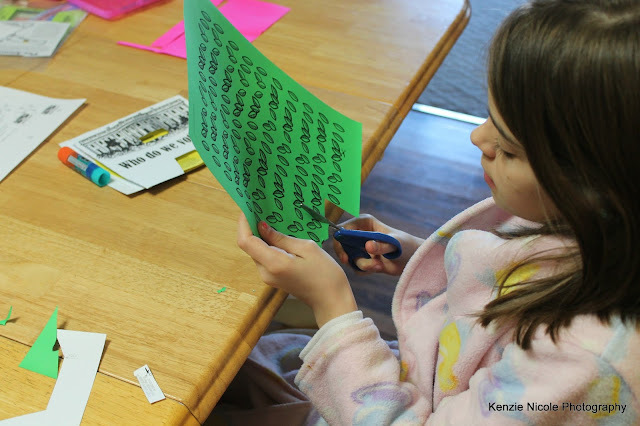 My children tire of doing lots of coloring so the colored papers are a nice way to add color to the finished project. The projects are simple to access. Simply click on the start menu and a screen opens up with directions and each project listed. This is the easiest way to get started. Simply click on the audio that you want to listen to and then click on the accompanying project, print it, and put it together. The lap-pak includes text and project directions for the 21 different learning projects. Most of the projects are simple and easy to understand how to put together. A few of them require a sharp knife to make some special cut out windows. Reminders are included to remind the student to ask for an adult's help. What I really like about these projects is that there is a lot of information included in the project. You can choose to use the provided text for the projects or have your child copy or summarize the text. My kids prefer to use the provided text for these mini books. 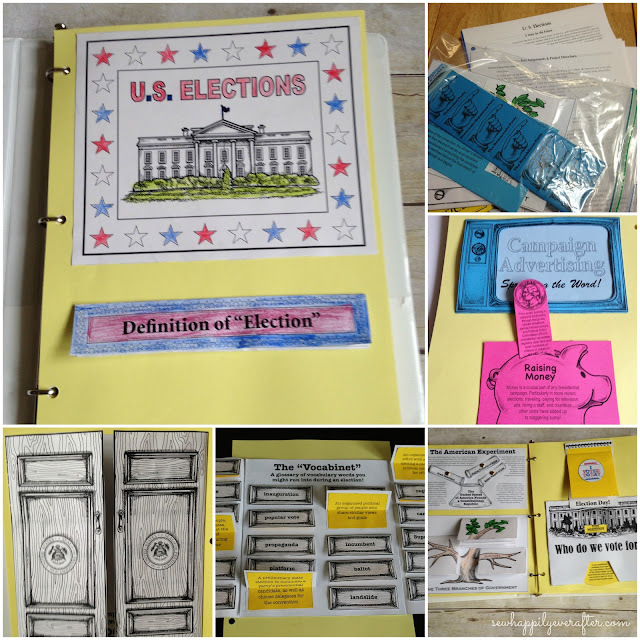 Some of the projects that the students will be introduced to include: suffrage, the 3 branches of government, where our idea for government came from, the electoral college, inauguration day, campaign advertising and fundraising. Several more projects are included all of them helping to explain the election process. My personal favorite project is the "Vocabinet" which is a collection of vocabulary words. The entire project looks very official and important and resembles a cabinet with a seal of the President on it. Each project has been carefully created and all of the pieces go together and fit within each other perfectly. The text is accompanied by audio. The audio is very clear and it is simply the text read aloud. This is a really fantastic addition to the lap-pak. An older child could possibly complete this study on their own. Our family chose to work together on all of the projects. We would listen or read the text and then complete the appropriate mini book that went with that section in the text. A lap book is a lovely way to store all of the mini books together in one place. It's an excellent way to review what you have learned. We opted to put our mini books on pieces of 3-hole punched card stock and then placed them in a binder. We really have enjoyed learning about the election process. My kids have even picked up on a few news items when they hear about them on the radio or on the tv. 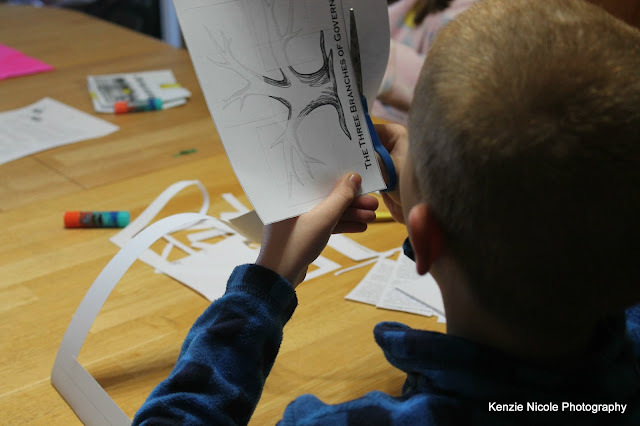 Would you children enjoy learning about the election process with hands on projects from Home School in the Woods? Head over to the crew blog and read some more reviews.